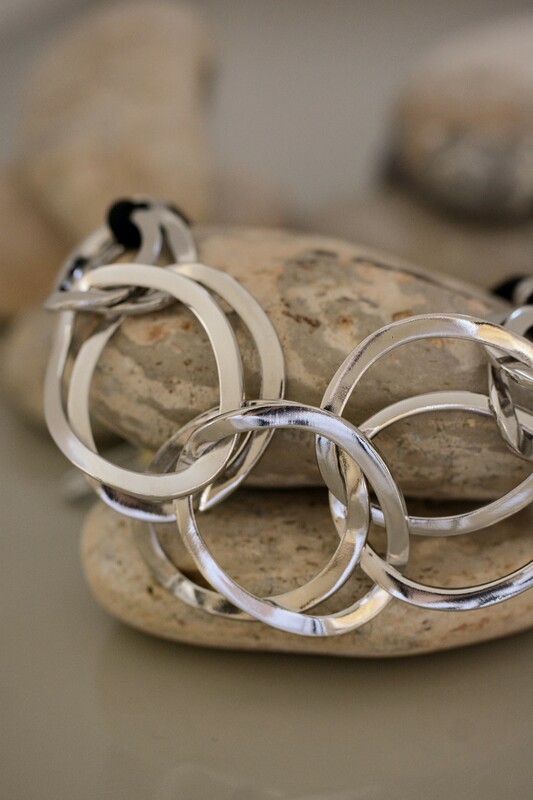 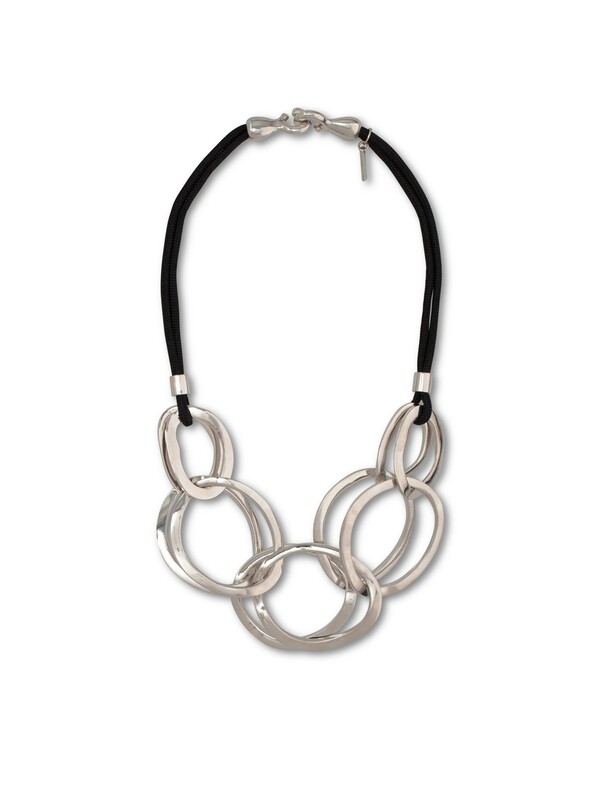 Shapely pieces of silver color plated metal combined together and delicately placed on a black silk cord make this unique piece a delightful addition to any elegant outfit. 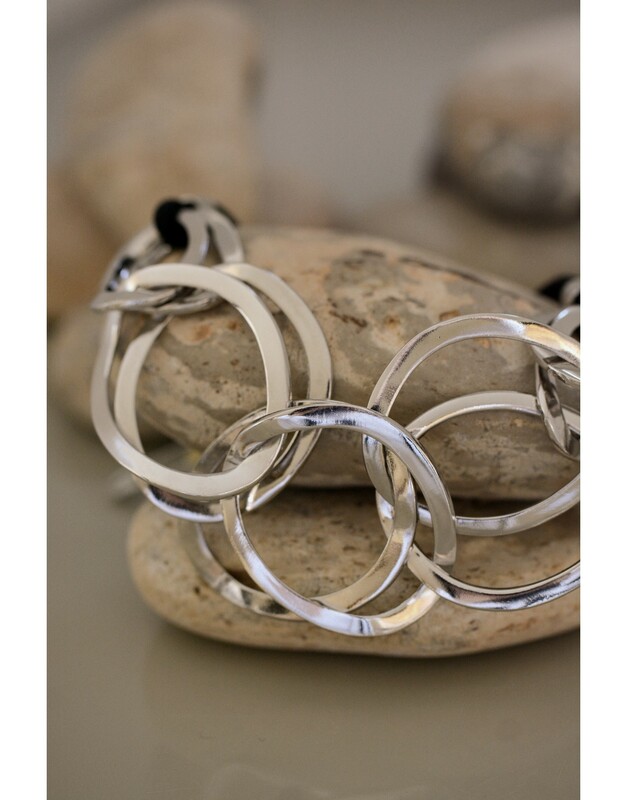 Wear this statement piece on a night out to add some extra alluring beauty to your look. Perfect when you're looking to bring a sophisticated glow to your ensemble.